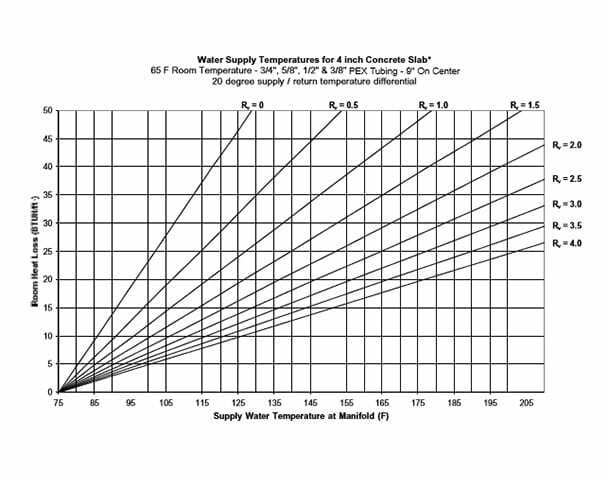 Ecowarm RadiantBoard is more efficient that Gypsum concrete pours, as shown in lower supply water temperature data below. 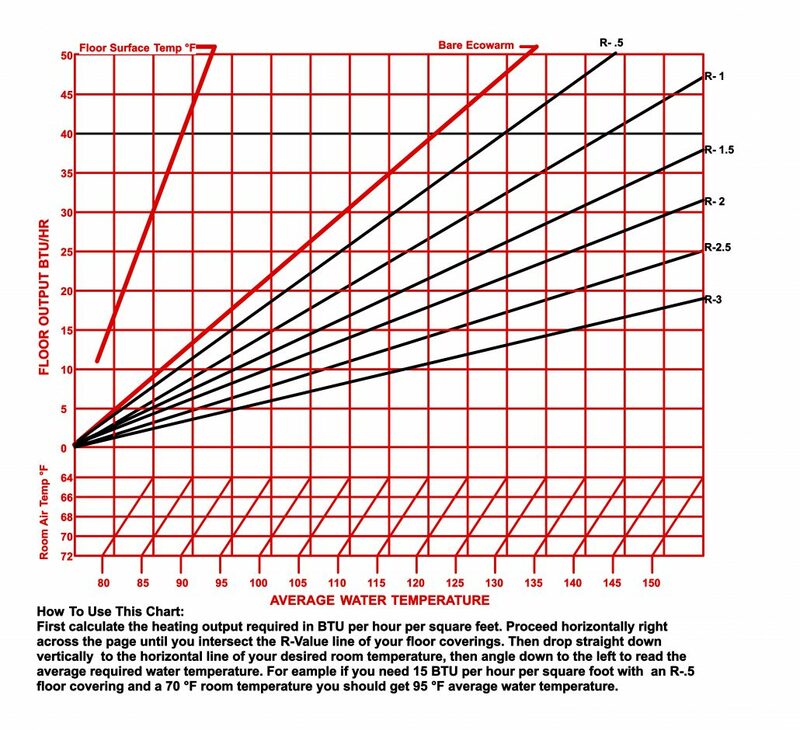 Higher supply water temperatures mean higher operating cost. Ecowarm RadiantBoard with aluminum transfer laminate responds much faster than the high mass gypsum pours. Gypsum concrete applicators do not provide design layout. Ecowarm RadiantBoard provides design layout services. Gypsum concrete pours result in a high mass, 1 ½” thick slow responding system. Ecowarm RadiantBoard is a low profile (3/4”) fast responding aluminum laminated heat delivery system. Gypsum applicators use the same big trucks required for large commercial jobs, resulting in higher costs for small to medium projects. Heavy. A gypsum concrete pour weights 12-14 lbs./sq./ft, often affecting joist sizing. Ecowarm RadiantBoard weights 2 lbs/sq/ft. Double plating: An extra plate must be installed to accommodate the extra 1.5” of gypsum thickness increasing the job cost by $.18 / sq. ft. Possible height issue. Not required with Ecowarm RadiantBoard. Ecowarm RadiantBoard will not freeze making installations in cold weather climates less difficult. The application of Gypsum cement introduces large amounts of moisture into a structure that must be dried out and driven off often with portable propane heaters in the winter. Ecowarm RadiantBoard is typically less expensive than gypsum concrete pours for projects less than 1000 Sq. Ft. As there are many licensed gypsum applicators across the country, prices can vary.